There is a tremendous variety of direct materials procure-to-pay solutions. Here we explore a framework for understanding the P2P solutions landscape. At the start of this series, we noted that substantially more has been written about indirect procure-to-pay (P2P) technology than about direct materials P2P. One reason is that indirect P2P solutions represent a much more well-defined market space, whereas direct materials P2P draws on many different solutions, with very different characteristics. Consider the various systems involved in the end-to-end P2P cycle as shown in Figure 1. Feeding into the creation of the PO are both sourcing/contract management systems and demand management/ materials planning systems. Sourcing (which is not shown in Figure 1) is a whole world in itself, with lots of complexity, process, and systems. The ultimate outcome is a negotiated agreement to purchase, generally resulting in a contract. Ideally the information for creating the PO is extracted from the contract, RFQ, and supplier management systems. Demand management systems are involved in creating the forecast, which drives the materials planning process. The output of MRP is a flow of material requests, from which POs are generated, thus feeding the P2P process. Throughout the P2P process, various other enterprise systems are involved as well, especially ERP/financials, but also order management, production planning, quality, logistics (WMS, TMS, and visibility), global trade management, billing, and other systems that either feed into, receive from, or directly execute P2P process steps. All throughout the P2P process, there are bi-directional passing of transactions between buyer and seller (highlighted in burnt orange in Figure 1). These transactions are often exchanged using EDI messages, but could also be exchanged via a supplier portal, flat files, email, fax, or even old-fashioned paper. Most P2P systems have some sort of functionality to perform these transactional exchanges. At several key points throughout the P2P process, there are potential collaborative1 exchanges. These include things like negotiating delivery quantities and schedules, negotiating PO changes such as changes to the specifications or quantities, solving quality issues, and resolving invoice discrepancies. Some solutions aid in these collaborative exchanges. One trend we see is the addition of enterprise social media functionality, which gives participants tools such as real-time chat, online dialogs, and group discussion forums that are integrated into the transactional systems. This has the advantage of direct sharing of the transactional data to resolve the problem, and allows a history of the dialog and resolution to be maintained, in case anyone wants to go back and see ‘why did we make that decision’? PO Automation— Automatically extracts information from MRP, allows buyer to examine and modify, auto-creates the PO in the ERP, auto-emails the PO to suppliers. Collaborative Shortage Management— Rolling forecast shared with suppliers. Weekly commits made. Gaps analyzed, prioritized, escalated based on revenue and impact. Traceability, history, and root cause (of shortage) by supplier. Contract manufacturers can request buyer’s help on critical components. Change Notification— Captures suppliers’ requests to change a part or manufacturing location and the decision process dialog. Change Management— For complex engineer-to-order equipment, allows buyers and suppliers to manage changes to timing, quantity, and spec – capturing the requests and responses, negotiating on the impact to schedule and cost, doing analysis of cost change. 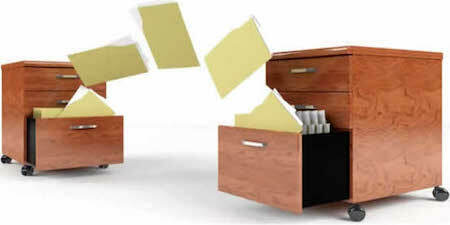 Various enterprise systems (such as order management, quality, WMS, TMS, billing, etc.) are involved at different points throughout the direct materials P2P process. But many of them are not core to the P2P process and would be considered ancillary to P2P. Putting those aside, there are still a large variety of systems that deliver various core P2P functionalities in different ways. Most of these have significant other functionalities (and sometime services) beyond P2P as well. Thus, one useful way to categorize P2P systems is according to their core functionality and architecture, which determines their approach and context to delivering P2P functionality. Below are some types of P2P solutions, using this approach to categorizing them. Note that many solutions fall into more than one of these categories. For example, an end-to-end visibility platform may also have a network of pre-connected buyers and sellers. Workflow, BPM, and B2B integration are found in many of these platforms, even though that is not their core or primary function. The same could be said of buyer and supplier automation. 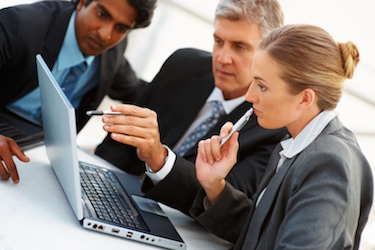 ERP-based—Virtually all ERP systems have some sort of purchasing tools. These are usually well integrated with MRP, receiving, and financial functions. Service + Platform—These companies provide outsourced procurement services, combined with a procurement platform. Some provide a full suite of sourcing and procurement services and software. Network-based—These consist of a many-to-many network of buyers and suppliers, frequently with rich buyer-side functionality and sometimes with significant supplier-side tools as well. Automation Platforms—Focus on automating buyer and supplier processes, with the goal of reducing errors to near zero and getting 100% straight-through processing of invoices (i.e. 3-way matched and paid without any errors or manual intervention). BPM / B2B—Workflow/BPM (business process management) systems and/or B2B integration systems (e.g. EDI/XML messaging, supplier and customer portals, MFT, etc. ), with pre-built P2P workflows and integrations. 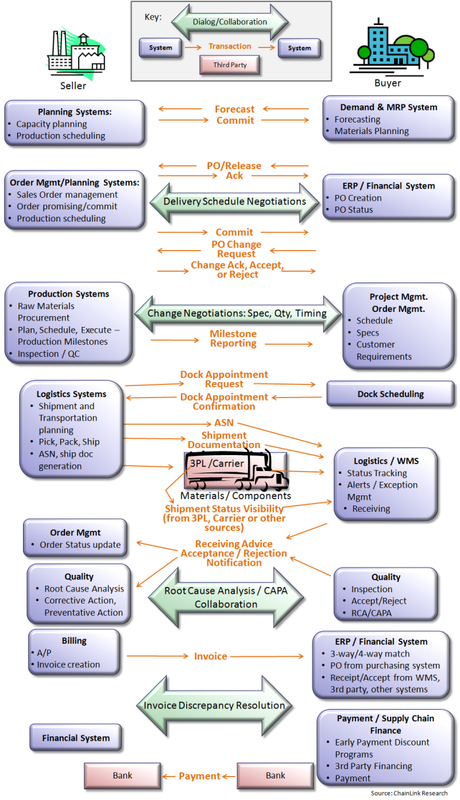 PLM/Project Management—Within the context of P2P, these are often used for construction or large complex projects, which have many fundamentally different requirements driving procurement, such as deeper integration with CAD systems, project-schedule-driven material releases, and heavy-duty change management. End-to-end Visibility/Supply Chain Finance—These systems provide visibility throughout the P2P lifecycle from the time a PO is created through to final settlement. They may provide visibility into production milestones, as well as logistics, supporting complex cross-border, international shipments. In addition, some of these systems provide sophisticated supply chain finance including pre- and post-shipment financing, as well as early payment discounting and receivables financing. Invoice Management and Settlement—provide e-invoicing and payment automation. In the next and final article in this P2P series, we will give some examples of these various types of solutions.